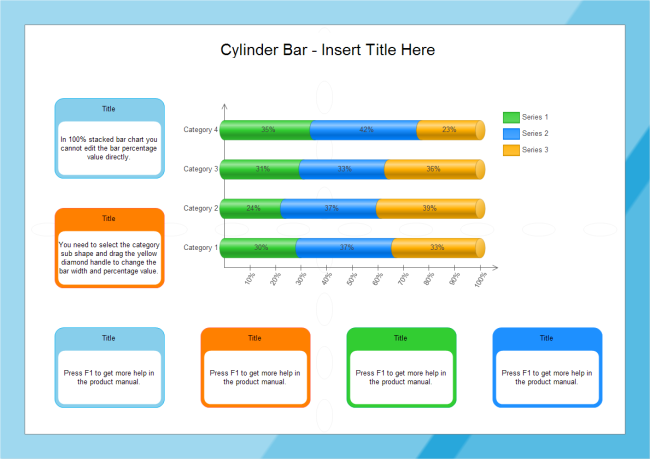 Description: A free customizable 100% stacked bar template is provided to download and print. Quickly get a head-start when creating your own 100% stacked bar chart. Users can take advantage of it to achieve better results in less time at lower cost.